There was a time when I was at the stage of just shopping for dresses because I believed dresses were somewhat a solution to my 'I-have-nothing-to-wear' dilemma. Well truth to be told, when I had to attend events I just grabbed on to one of the dresses I had bought at that time. Right now, I'm on the lookout for cardigans. The one's I'm looking for are those that are loose, they kind of give a more korean fashion vibe to the outfit (on my opinion).. and it just looks way cooler when it's loose compared to the body/arm hugging cardis. For this look.. I wore this black dress which I bought for about 700+ or more I think from one of the shops in Paseo, name of the shop is Mic's. 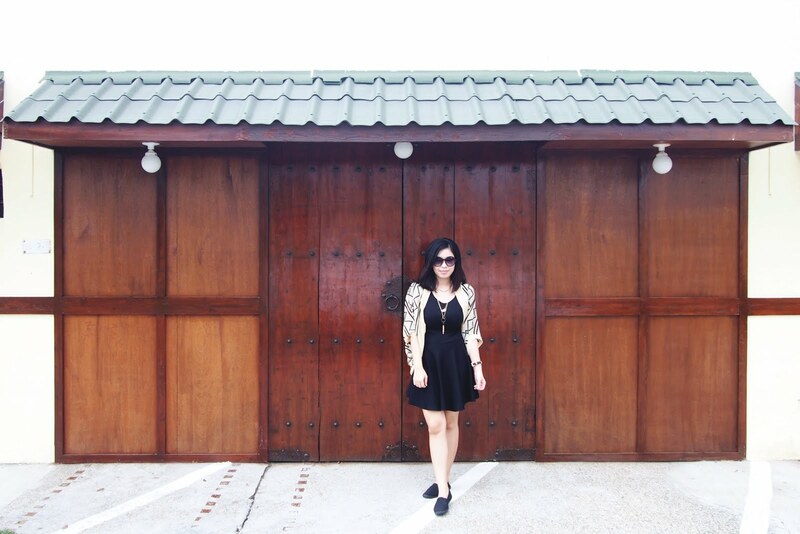 Paired it with an abstract/ethnic print cardigan bought from Robinsons. Necklace from a bazaar seller in Nuvali. 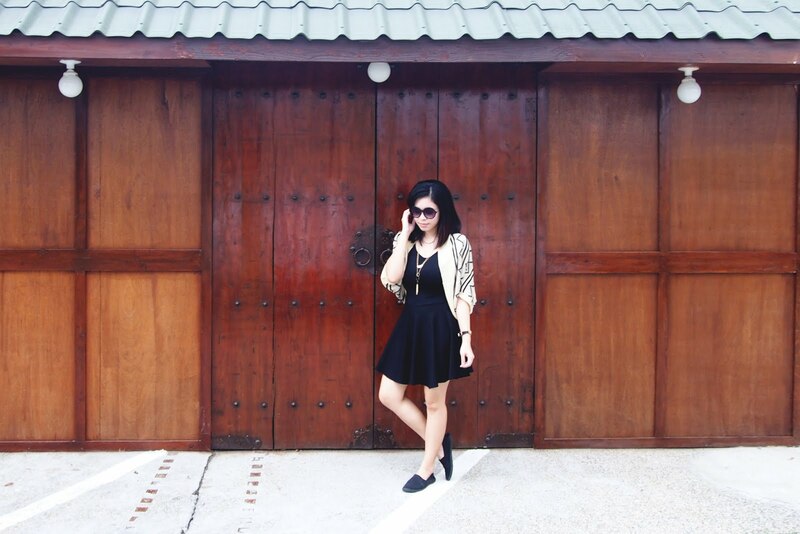 For my shoes, I wore my go-to overused black flats. 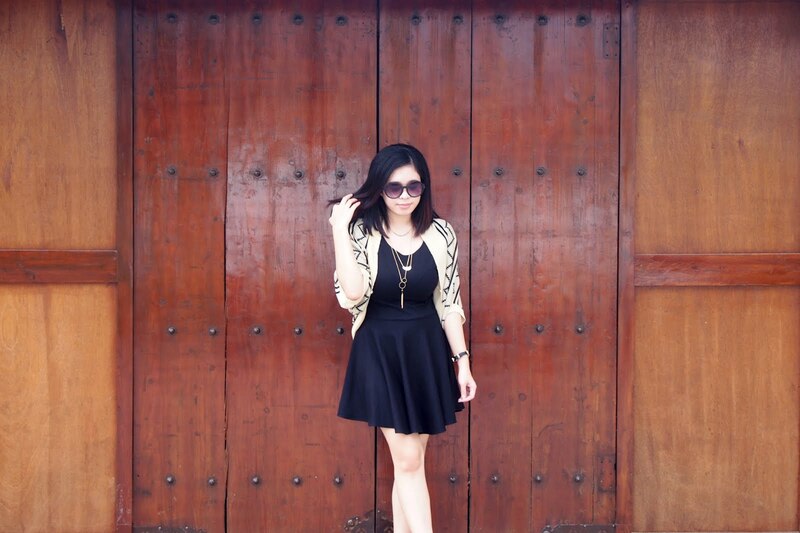 Two wardrobe staples; a cardigan & dress makes up one easy well-dressed #ootd combination. Specially if you're lazy to dress up but you still want/need to look your best. It even brought out the best of my worn-out shoes.